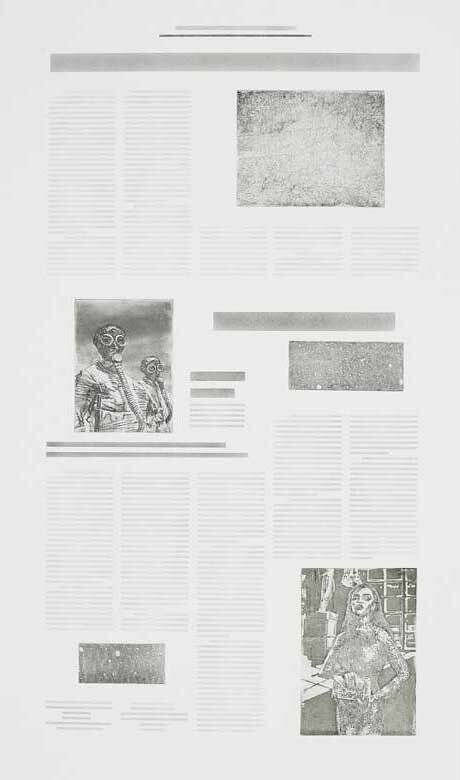 The series of work on paper Post-News is inspired by the unintentional visual narratives newspaper pages convey and their aftereffects on readers. Visuals are carefully arranged in a newspaper layout, either as part of a story or as an advertisement. Sometimes they overlap and together create a new context for visual narrative. These serendipitously juxtaposed images might tell their own stories in more visceral ways. An unsettling image of a crying orphan next to a young woman seductively cuddling a perfume bottle — Post-News; Perfume number 5. In Post-News; A matter of time two unrelated articles are juxtaposed to an advertisement. An image of a politician giving a speech on a stage is paired with an image of a vandalized and headless monument to an ex-leader in the middle of a city square. There is a watch advertisement on the bottom of the page. Post-News are not copies of any particular page or edition. The layouts are fictional but mimic various popular newspaper sections such as the front page, arts, sports, or obituaries for example. Acknowledging the long history of artists embracing the newspaper format and using news photography as an inspirational resource, Post-News’s storytelling focuses on accidental pairings of newspaper visuals. All headlines and text are blurred in undecipherable lines. Words are often secondary next to a powerful image that can be subconsciously etched in a reader's memory. 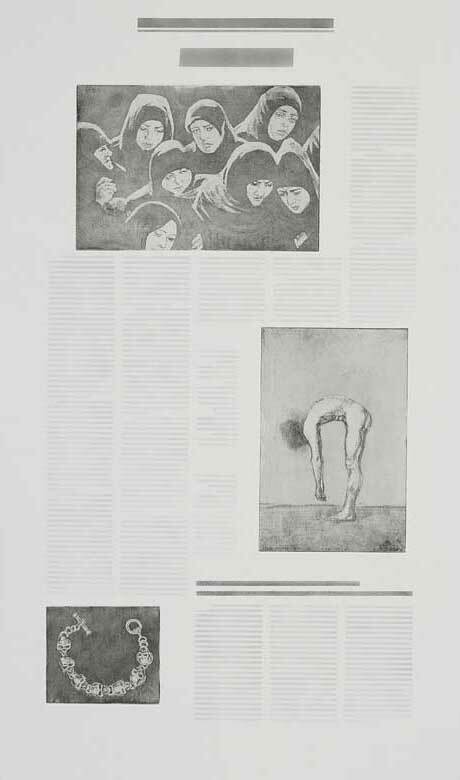 All works in the Post-News series are etchings and pochoir on paper, edition of 1. Newspaper runs are massive, sometimes millions copies are printed. At the same time they need to be replenished because as soon as a reader is done with a paper it is old news. 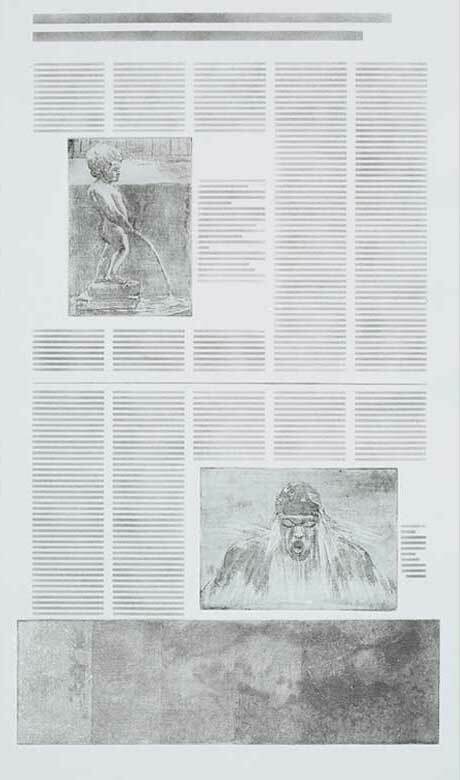 The etching medium allows for an edition of multiple copies. 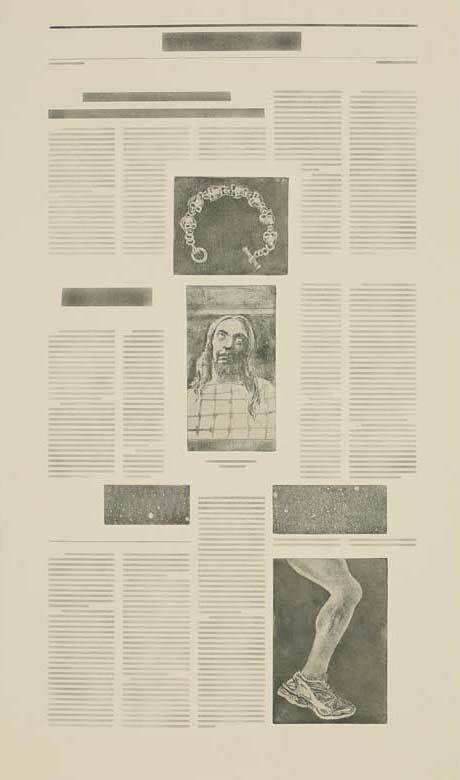 However, Post-News prints are edition of 1. 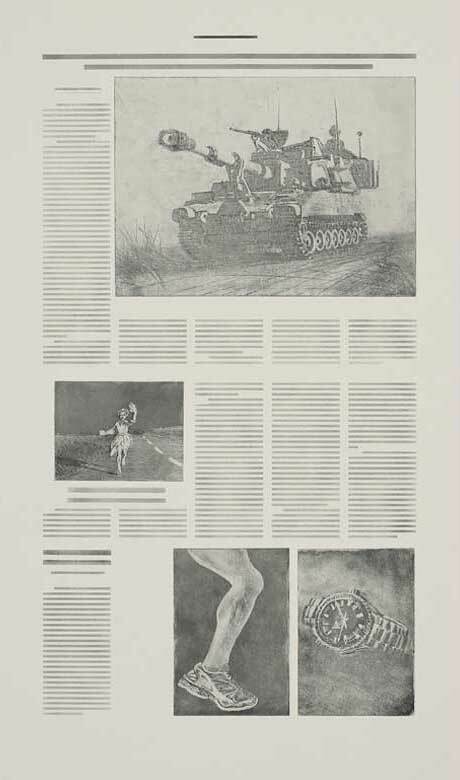 The etching medium is used here symbolically to embody newspaper visual storytelling and its visual impact on readers. Post-News disregards its source as a mass produced object and makes it unique.